Computer Programs & Systems, Inc. (NASDAQ: CPSI) shares touched a new 52-week low of $21.11 after the company posted downbeat quarterly results. Invuity, Inc. (NASDAQ: IVTY) shares dropped 49.2 percent to touch a new 52-week low of $4.70. Invuity reported a Q3 loss of $0.56 per share on revenue of $8.5 million. MDC Partners Inc (NASDAQ: MDCA) shares tumbled 64.4 percent to touch a new 52-week low of $2.99. MDC Partners reported a Q3 loss of $0.64 per share on revenue of $349.3 million. Hill International Inc (NYSE: HIL) shares reached a new 52-week low of $2.40. Hill reported a delay in the release of its Q3 financial results. 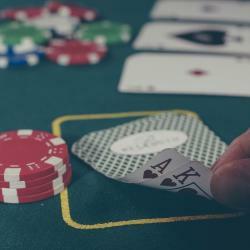 What Does The Mixed Bag Of Gaming Results Thus Far Predict For MGM?